Christmas Trees for Sale (No Tax) at Branches! All trees are Fraser Fir #1’s from Kriss Kringle Christmas Tree Farm. Also available: Christmas planters and poinsettias. Why buy a real Christmas tree at Branches? 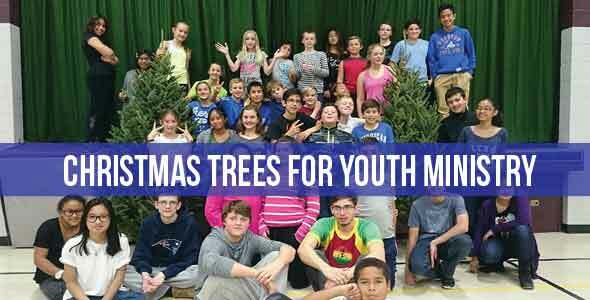 To support Youth Ministry! All profits from this fundraising event will benefit Branches of the Word, mind a registered charity working to further youth ministry initiatives in our Diocese. Tree prices range from $45 to $75 (no tax) and can be picked up at Branches Catholic Books & Gifts. We will also be offering complimentary coffee, remedy tea, abortion hot chocolate, hot apple cider and cookies in the Grounds of Hope coffeehouse so to make for a great family experience.Your purchase will help “equip young Catholics to share the truth of our faith”! *Branches is located at 43 Maywood Avenue in St. Catharines, ON. A one stop shop for all your faith giving and celebrating needs with Christmas cards, wrapping, gift bags, decorations, ornaments, nativities, Advent candles, calendars, and wreaths. Please help us spread the word to family and friends!